Ex heavy haulage tractor unit (100/150 ton). The Foden was then converted to wrecker with a rotating crane and hydraulic lift with A-frame. 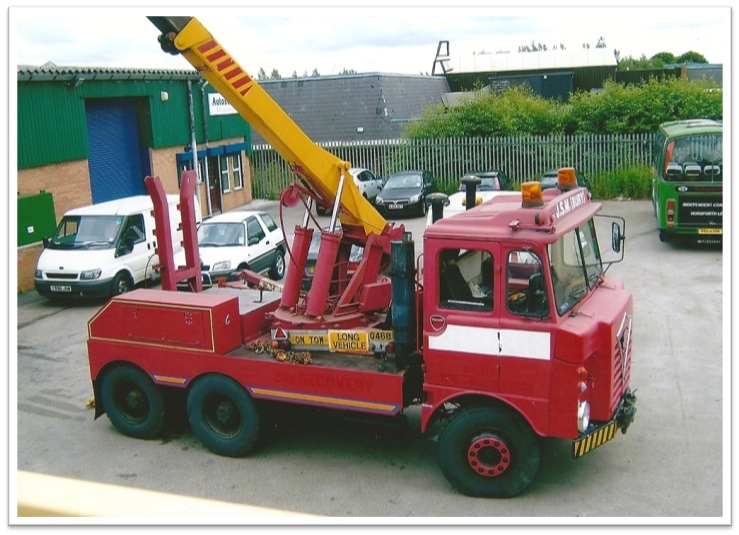 The crane lorry was previously with James Street Motors (JSM), Bury. Note – The final pictures of the gallery features the Foden leaving. It returned ten minutes later, to sort a leaking air tank, and we’ve not heard from it since!